This question depends on how bad the buildup is on the shower door and if you can see through it. Some shower doors just need a mild non-abrasive cleaner made into a gel or paste, so it can sit on the shower door without running down the door, wait 20-30 minutes, scrub and rinse away. A great protective measure once the door is cleaned the way you like it; is to use car wax or lemon oil on the door only. Do not use anywhere near the shower floor or falls and slips may occur. For the more difficult shower doors use oven cleaner for 10-20 minutes and a fabric screen to scrub the buildup away, rinse and repeat until the door is clean than use the preventive measures mentioned above. This question depends on how bad the shower rails are because it ranges from being a little dirty to baked and caked on soap scum, mold, and mildew. If the shower rail is a little dirty, use 1 part vinegar and 2 parts water and soak the area with the mixture for 30 minutes to an hour. Use a firm toothbrush and medium to firm hand brush to scrub it away, rinse, and buff the area with straight vinegar on a clean cloth. For the baked and caked on soap scum on these metal rails use oven cleaner for 10-20 minutes and a firm toothbrush, medium to firm hand brush, or some steel wool to scrub it away. Be gentle to not to scratch the areas, but it works than and buff the area with straight vinegar on a clean cloth. First, let us consider what type of curtain you are buying. It is plastic, nylon, or fabric? The plastic shower curtains are usually the most inexpensive and can be cleaned or simply replaced every 3-6 months depending on the usage. 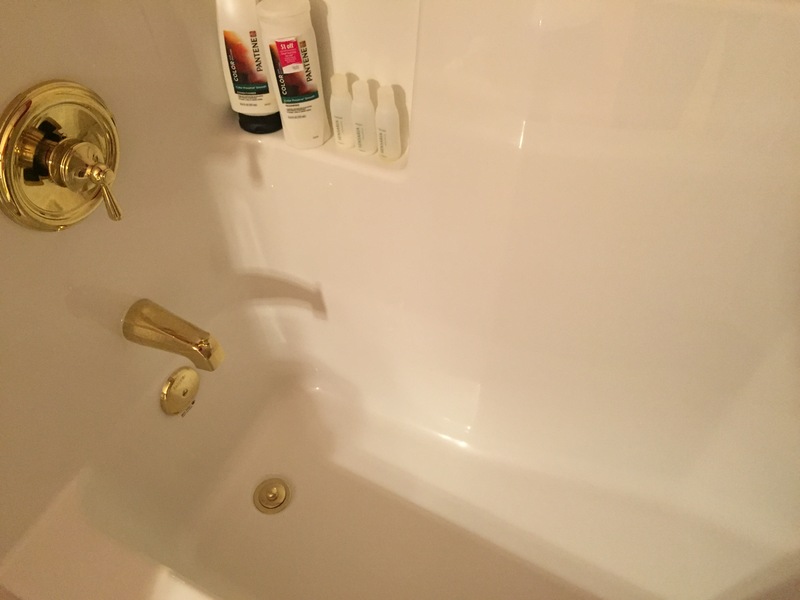 To clean a plastic shower curtain spray shower cleaner and/or bleach if mold and mildew are visible, hold the bottom of the curtain with your toes and wipe with a bathroom scubby or sponge to remove any debris, mold, or mildew. Again, the plastic shower curtains are inexpensive may be need replacing every 3-6 months. Nylon shower curtains are more flexible than plastic shower curtains. They can be easily taken down and placed into the washing machine. I would run it through a normal medium to large wash cycle using a cup of bleach than simply re-hang the nylon shower curtain to allow to completely dry. Fabric shower curtains are usually expensive, so a simply way to keep them fresh and clean is to use a nylon shower curtain with them. The nylon shower curtain can be easy cleaned which is listed above. To clean a fabric shower curtain, place it in the washing machine with a couple like color towels with laundry detergent to remove any soap scum, mold, and mildew, but remove the curtain before the spin cycle so it does not crease the fabric and re-hang immediately and allow to dry. Remember to always follow manufacture instructions, if available. Elite Cleaning of Washington is fully licensed, bonded and insured.